Some players are experiencing frustrating technical issues with Sekiro: Shadows Die Twice on PC. Fans are struggling with extreme screen-tearing, black screens on start-up, low FPS, and weird USB controller problems. Sekiro demands precision, and any one of these annoying issues can ruin your enjoyment. To help, we’ve put together a list of fixes and tweaks that have worked for other players online — here’s hoping they’ll be able to help you too. The most common issues surround the Dualshock 4 Controller, and oddly low FPS. 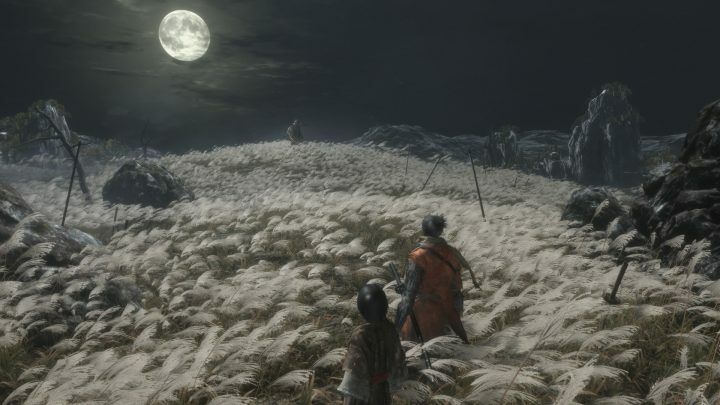 While Sekiro is a beautiful game, it isn’t as system taxing as you might think. If you’re struggling with low FPS and screen-tearing, it might not be the fault of your graphics card. There are several tweaks that might fix your problems — either changing Admin settings, forcing V-Sync, or accessing the Nvidia Control Panel to disable integrated graphics cards, which are being used by default instead of your beefier dedicated GPU. If you’re experiencing strangely low FPS, it may not be a problem with the game. There are two major issues as of right now — integrated graphics, and multiple monitors. If you have a computer with an integrated graphics card, or have multiple monitors plugged in at the same time, you may be able to improve FPS with a simple fix. If you have an integrated graphics card and a standard graphics card, Sekiro may default to integrated graphics. You can force the game to use your primary graphics card in the Nvidia Control Panel. Search and find Sekiro: Shadows Die Twice from the drop-down list. Change the primary graphics card and force settings. If you have multiple monitors plugged in, there is currently a bug that causes a severe drop in FPS. Unplug the secondary monitor while playing Sekiro for now. You have to physically remove the USB — you can’t just disable the secondary monitor. The DS4 (PS4) Controller is making the mouse appear. To disable this annoying feature, you’ll need to access your controller settings. This will disable the touchpad on the DS4. You may also need to enable the DS4 Controller in Big Picture Mode if you’re still experiencing issues. If you’re experiencing screen tearing, there are two fixes. You can unplug a second monitor, or play in Windowed Mode. As of right now, Windowed Mode seems to help fix extreme screen-tearing but doesn’t seem to improve FPS significantly. Switch to Windowed Mode in the Settings to help reduce screen tearing. This may be a problem with Big Picture Mode, as well. Try switching to your normal monitor. Follow the steps below. Close Sekiro, and close Big Picture Mode. Launch Sekiro from Steam / your platform. You can also try forcing V-Sync. Open the ‘Nvidia Control Panel’ -> Manage 3D Settings and find Sekiro in the drop-down list. Set V-Sync from this menu. This fix comes from Reddit user u/Jerky-Legs. If you’re experiencing issues with black screen on start-up, you can try the following fix. You may also want to run the game as an Admin. Right-click to change Admin settings. Find a game in your local / roaming Steam folders. Copy / paste the XML file into the Sekiro installation folder. Edit the file and paste the following text. Save and name the .xml file GraphicsConfig.xml. Try launching the game — hopefully this will work for you and the game will start with no issues.